Joy Porter is Professor of Indigenous History within the History Department at Hull University and the author of Native American Freemasonry: Associationalism and Performance in America, a book the historian was writing when she was one of my lecturers at Swansea University back in 2007. I remember once in class the subject of the Freemasons came up (not hard considering George Washington and many other of the founding fathers of the United States were Freemasons) and after class I got into what must have seemed a bit of a odd conversation to the mainstream academic about secret societies, in particular the bizarre antics of Republicans and Democrats inside the Bohemian Grove. (Watch this.) After seeing the Indian Freemasonry book was out, I decided to catch up with my old teacher and ask her some questions about the new book and the role of Freemasonry in the early United States. Richard Thomas: Thanks for taking the time to answer my questions Joy. The first question I have is how did you go from writing and researching about Native Americans to writing a book about the history of Freemasonry in the United States? Joy Porter: My first book was a biography of a key Seneca-Iroquois named Arthur Parker and he was a very committed Freemason. That got me thinking. Richard Thomas: I know you are from Ireland and in one lecture I remember the topic of the Freemasons came up and someone in class said that in Northern Ireland there are a lot of Freemasons in the police and government. What were your initial thoughts, if any, about the secretive organization and did writing the book challenge your perceptions at all? Joy Porter: To be honest, my knowledge of N. Irish Freemasonry is limited - that'd be a whole other book! My old friend Jim Smyth at Notre Dame has written about it in terms of Irish history- he's your man. Richard Thomas: Thanks to the internet the Freemasons are famous for their strange rituals and costumes. Did you see any of these, what did you think? And in your opinion is Freemasonry a religion? Joy Porter: In the US for many men it has served as a religion of sorts, but the organization itself has been very concerned over time to make clear that it is not a religion. This has not prevented organized faiths such as Catholicism from feeling very threatened by it. Richard Thomas: The perception, of course, is that the Freemasons are an elitist organisation. So I was initially surprised to learn that Native Americans have been involved in Freemasonry for centuries. How did this happen and what were the motives of the white men who brought Native Americans into their lodges and how has this relationship changed over time? Joy Porter: Answering that took me a whole book! In short, US Freemasonry accepted elite Indians because of the imagined world Indians were deemed to inhabit and because of the Indian relationship to ritual, something Masons respected. Once within Freemasonry, Indian Masons were able to retain aspects of their tribal and pan-Indian identities that they could not develop in the same ways in the non-Masonic world. I argue that the Indian Masonic relationship over time has largely been very positive for Indian and non-Indian Masons alike. Richard Thomas: Given the secrecy involved in Freemasonry, historically how have non-Freemasons in the Native American community viewed Indians who become Freemasons? Joy Porter: This is an enormous question that is another research project in its own right but in my experience at least, I found limited evidence of Indian folk resenting Indian Masons. But then, I wasn't looking for that data. Richard Thomas: Many of America's founding fathers were admitted Freemasons. How important do you think Freemasonry was in the American Revolution? Joy Porter: It had a significance certainly. The best book on the topic is by Steven Bullock. Richard Thomas: Overall do you think Freemasonry has been a force for good in America, or does the secretive group deserve some of its bad reputation? 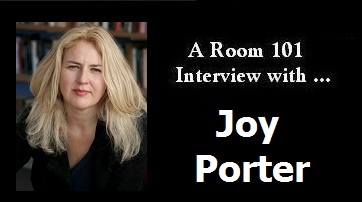 Joy Porter: Certainly a force for good in my opinion. Freemasonry upheld the color line but so did most organizations when this was the norm. It gave a great deal to many communities. I think community-based associations generally are positive as they bring people together but as with any grouping, it will by definition be selective. Associations are as much about who is excluded as who is included but the evidence I found suggests that Freemasonry gave many men over time a sense of solace and brotherhood in a world increasingly bereft of such compensations. Richard Thomas: Thanks Joy. What are some of the other books you've written? Joy Porter: I've just published another book with Praeger, Land & Spirit in Native America (2012). It looks at how we comprehend wilderness and Indian land, including Indian "Sacrifice Areas" in the nuclear Southwest.